It’s been said that jazz is one of America’s most significant and lasting cultural exports. The style that became known as jazz originated in New Orleans in the late 19th century, and grew rapidly in popularity and influence. By the beginning of the 20th century this musical genre had firmly established itself in Memphis, Kansas City, St. Louis, Chicago, New York City (specifically in Harlem) and other American cities. But it took a cataclysmic event to propel jazz “across the pond,” where it quickly established a firm foothold in the European cultural landscape. The primary agent of that intercontinental expansion was Lieutenant James Reese Europe, a black officer and bandleader who volunteered in 1918 for service in World War I with members of his celebrated Harlem Society Orchestra. Because the U.S. Army was not yet integrated, their newly-formed 369th Regimental Band fought courageously alongside the French, who nicknamed the 369th “the Hellfighters” and awarded the Band the Croix de Guerre in recognition of their valor and contributions to morale. In addition to their exploits on the battlefield, the Hellfighters brought jazz to several European cities — most notably to Paris, where several of the 369th’s musicians remained following the war’s end. In the ensuing decades Paris became a mecca for jazz practitioners and aficionados, as more Americans musicians emigrated to the City of Lights. 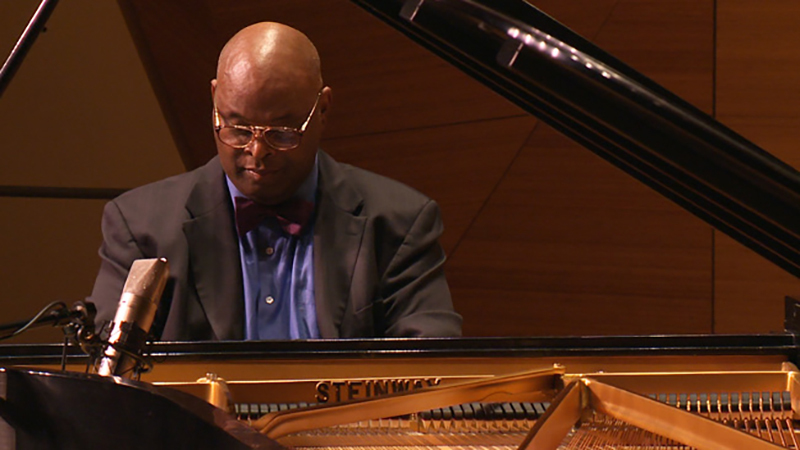 For the 19th Annual Lytle Scholarship Concert at UC San Diego, internationally renowned pianist and Department of Music Professor Emeritus Cecil Lytle is joined by a stellar array of jazz musicians from Los Angeles, San Diego and Tijuana in a concert entitled “Harlem Hellfighters: Jazz Goes to War.” Through narration and an eclectic selection of music this program relates the history of, and pays homage to, those brave soldiers and jazz ambassadors of the 369th Regimental Band. 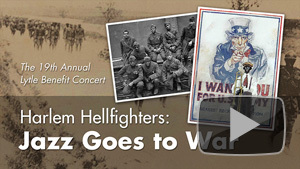 Watch Harlem Hellfighters: Jazz Goes to War, a Lytle Memorial Concert.